See how Roctool & SAERTEX partnered to reach cost competitive and A-class thermoplastic composites. The SAERTEX LEO series stands for optimum fire protection in rail transport, the marine market or the construction industry. For the renovation of the floor panels in 66 trains of the ICE fleet of the Deutsche Bahn with fireproof SAERTEX LEO materials, SAERTEX recently received two awards: On November 5th, SAERTEX was awarded 3rd place at the AVK Award in the Products/Applications category for its project at the International Composites Congress (ICC) in Stuttgart. In addition, the entry won 1st place in the Railways category at the JEC ASIA Innovation Award, which was presented on November 15th at the JEC ASIA trade fair in Seoul, Korea. SAERTEX is again attending the JEC Asia Composites Show taking place on November 14-16, 2018. The 11th edition of the International Composites Show organized by the JEC GROUP will be held in Seoul, Republic of Korea. SAERTEX will be showcasting itself in cooperation with the dealer Advanced Plastics Benelux from the Netherlands at the METSTRADE exhibition in Amsterdam, the world’s largest trade exhibition of marine equipment, materials and systems. The exhibition takes place from the 13th to the 15th of November 2018. SAERTEX will again be showcasing itself in 2018 at the "FEIPLAR COMPOSITES & FEIPUR 2018" exhibition. Come and meet us and our application consultants from the 06 to the 08 November in the Expo Center Norte in Sao Paulo and let us impress you with our solutions and component services. SAERTEX will be showcasting itself at the Advanced Engineering exhibition in Birmingham from the 31st of October to the 1st of November 2018. Discover SAERTEX product innovations at Composite Europe 2018. 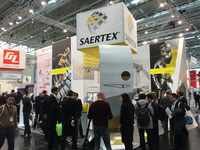 SAERTEX is exhibiting three new material developments for lightweight solutions in the automotive, rail vehicle, and shipbuilding sectors to its visitors at the trade fair. SAERTEX will be exhibiting at the CAMX trade fair – the Composites and Advanced Materials Expo – at the Kay Bailey Hutchinson Convention Center, Dallas (TX, USA) from October 16th to 18th, 2018. The CAMX is a comprehensive event for the composites industry, offering visitors a perfect platform to interact with customers and other visitors about the latest innovations and product highlights. SAERTEX will be showcasting itself at the IBEX exhibition in Tampa (FL) from the 2nd to the 4th of October 2018. The SAERTEX LEO range for optimum fire protection: Whether for rail transportation, the marine market or the construction industry – the range complies with the fire protection requirements in accordance with EN 45545-2 and IMO FTP. Our strengths primarily lie in the design and stress analysis of components that have previously been made of metal, but that are in future to be manufactured from plastic-reinforced materials. 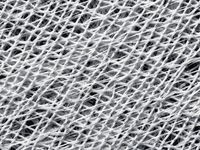 SAERTEX also provides significant added value for the customers by producing, upon request, two or three-dimensional preforms made of non-crimp fabrics. According to your specifications and on the basis of individual CAD drawings, we will precisely pre-cut the respective shapes using our cutting machine, so that they are available to you for direct further processing. In 2002 SAERTEX entered the field of component manufacture with its factory in Stade’s “CFRP Valley”. One of the key success factors in sustainable engineering is achieving minimum weight while simultaneously maximising component quality. Companies – like SAERTEX – that have made it their philosophy to overcome existing production and development limitations, must be prepared to be judged to the highest standards. Despite its healthy growth, SAERTEX still maintains the charm of a family owned and managed medium-sized company. Personal freedom, room to take initiative and a healthy work-life balance. We offer students, entry-level job seekers and experienced professionals a wide range of interesting job opportunities.